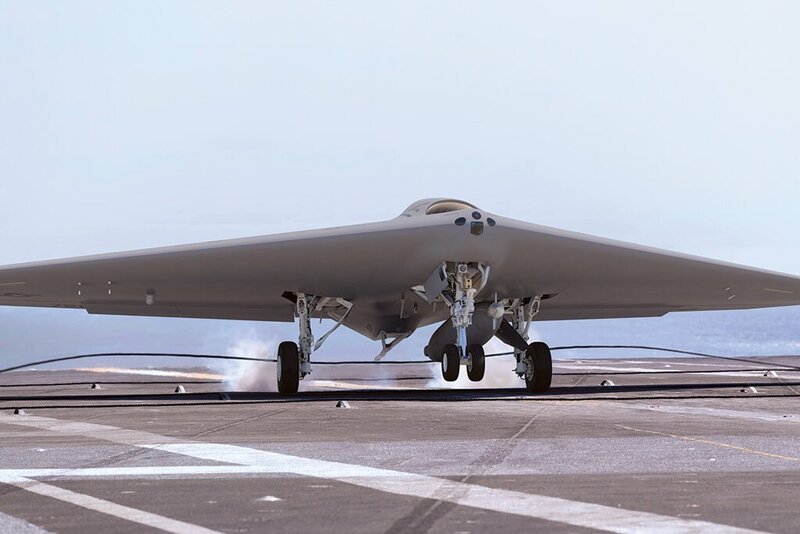 Aviation Week's James Drew exclusively revealed Lockheed Martin's unmanned carrier based aerial refueling tanker aircraft for US Navy's MQ-25A Stingray competition. 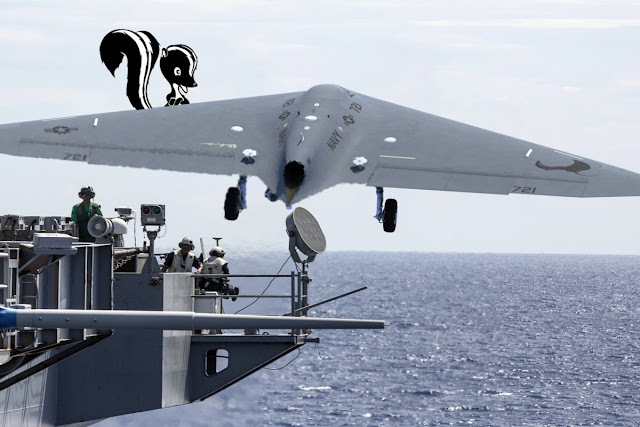 Unlike Boeing's offering, Lockheed's MQ-25A proposal designed by Skunk Works is a conservative flying wing design. 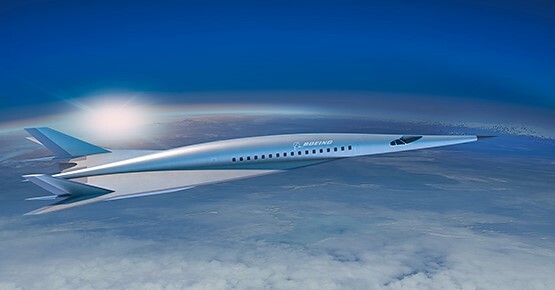 While Boeing has a prototype which is undergoing ground testing, Lockheed Martin's design is still a concept. With its priority role to refuel combat jets at ranges of up to 500 nm and light surveillance, Lockheed's design is based on a non-stealthy subsonic airframe. The swept wing with straight trailing edge give good wing surface area, to carry fuel on board for tanking missions. US Navy stipulates carriage of 14,000 lb fuel load for the Stingray. The single engine buried with the wing protrudes out at the aft and is fed through a semi flush air inlet on upper wing. Even though Lockheed claims the design is non-stealthy, possibly due to absence of a radar absorbing skin, the aircraft incorporates stealth features. In addition to the inherent reduced radar signature of flying wing designs, the engine exhaust is positioned ahead of the wing trailing edge, so the hot exhaust mixes with the cold air over the wing and reduces heat visibility from below. This feature was first sported by German world war 2 Horten H229 flying wing bomber followed by US Air Force B-2 flying wing stealth bomber. The aircraft will be equipped with a Ram Air Turbine powered ventral Cobham aerial refueling pod featuring a drogue system that can refuel probe equipped US Navy fighters like F/A-18 Super Hornet and F-35C. The aircraft will also have limited surveillance capabilities through a EO/IR sensor turret. Being an carrier borne aircraft, the tricycle landing will be strengthened to withstand the harsh conditions of deck landing and catapult takeoffs. The arrestor hook is exposed unlike Boeing's concealed design. A fairing above the air inlet hump possibly houses the satellite data-link. It is also equipped with a camera and a unique cueing system at the nose tip possibly to aid deck operations. The third contestant General Atomics revealed its MQ-25 design, which is based on its Avenger platform.